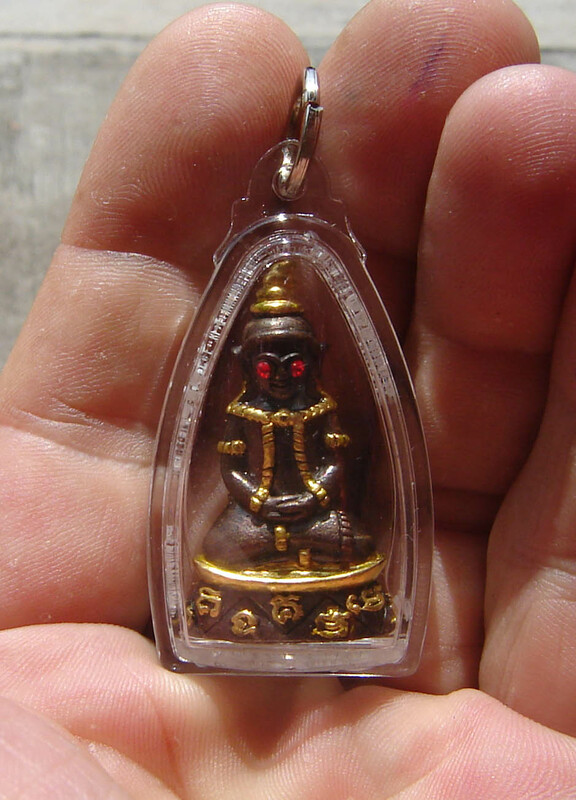 Por Ngang Ta Daeng Jom Sanaeh amulet encased in waterproof casing by Luang Por Naen Kampiro – Wat Ban Kaset Tung Sethee (Roi Et). ‘Run Racha Choke’ (Kingly Luck Edition). Made from Nuea Samrit Pid Tong (Bronze with Gold Leaf). This is the top level of a six image edition fewaturing three portable miniatures and three Bucha statues, each in three materials, namely Nuea Aathan (black color), Nuea Samrit (reddish bronze color) and Samrit Pid Tong (dark bronze with gold leaf). The Sacred ‘Chanuan Muan sarn’ metals were smelted from various magical metal objects which Luang Phu Naen had already made and empowered, such as Yantra Foils with the Kama Sutra Kata and Yantra (Yant Gamasut Bpathang Lokee Maha Sanaeh), Na Maha Sanaeh Hnaa Tong, Sariga Pak Dee, Yant Taewada Hlong Hong (Paetch Payatorn), Yant Yord Sanaeh, Yant Kroo Khom Boran, and Na Sanaeh Maha Montr 108. He inscribed Sacred Khom Agkara spells on the objects before smelting into one magical metal alloy, to cast these powerful Pra Ngang Ta Daeng images with. Luang Phu Naen Gaew Kampiro is a very damous Master for making Metta maha Sanaeh amulets, which in the present times of financial difficulty as the world unifies and goes through many teething stages of inflation and depression, with low consumer spending and difficult for everyone to survive. The base is filled with sacred powders and a Takrut spell. 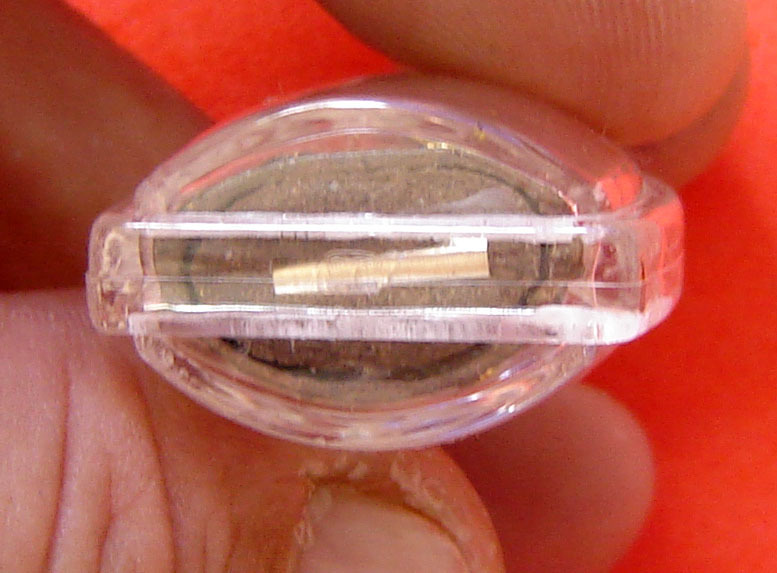 For this reason, many Masters are making Maha Sanaeh magic amulets to help people in overcoming these difficulties, and improve their wealth and prosperity, as well as the usual magic of popularity and charm. 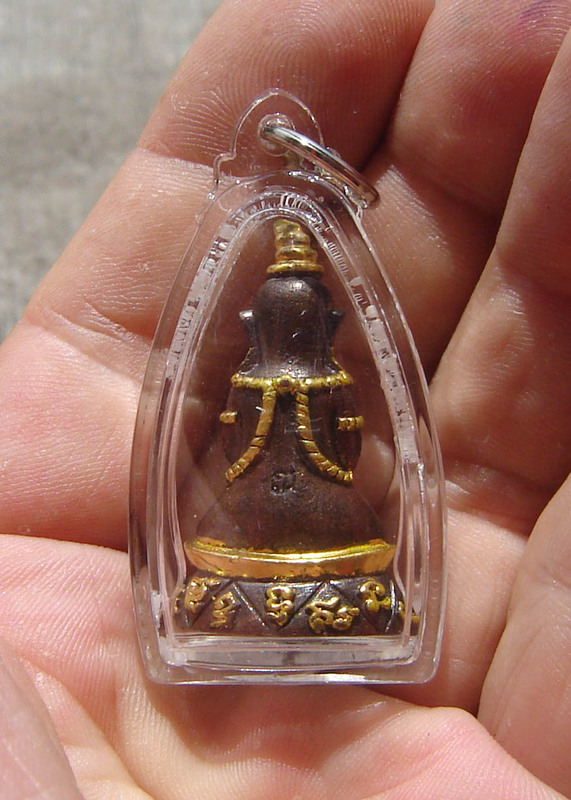 Luang Phu naen is no exception, and his amulets have grown to enjoy International following all over the World. 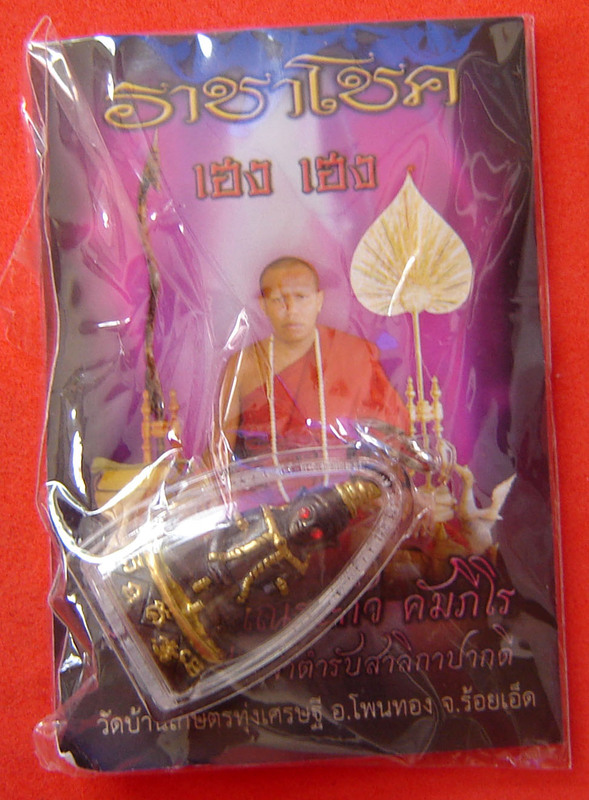 Luang Phu naen has a vast armory of different Maha Sanaeh and Metta Mahaniyom magic spells in is armory, and Ngang Ta Daeng Deity invocation is one of them. The Empowerment Ceremony was made with LP Naen invoking the four elements and arousing them to inhabit the amulets, before invoking the spirits of the Ngang to inhabit them as bodies. This was done according to the ancient Khmer Wicha method he was given by his Masters. The wearer will be blessed with immense Charm and Attraction, stirring the hearts of those nearby to feel friendly and even love towards you. Business will increase, and whatever price you ask fro will be given unquestioned when you sell your wares. Lovers and Admirers will be in abundance. Wear the Ngang at your waist level. If you wish the Ngang to be at its most powerful, give offerings of ‘Hlao Khaw’ (white Thai Whisky, or similar) – one glass each time you make Bucha offerings. One boiled Egg, Hmoo Non Tong, Betel and Areca nut, some cigarettes, water (one glass), one pair of red flowers (roses for example), one incense stick (lit). 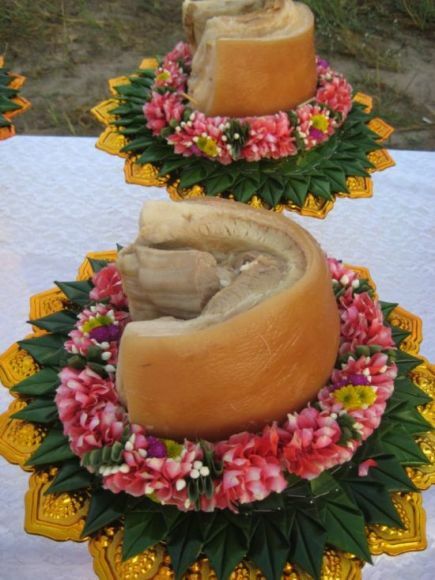 Above; Hmoo Non Tong offerings. Give offerings on the 14 Kam day (Lunar day) once a month. You do not need to Bucha more than this. You do not need to chant a Kata, just wish for your wish to come true when offering. You must not place the Ngang on the Buddha altar, and must keep it separate and on a lower level altar if not worn.